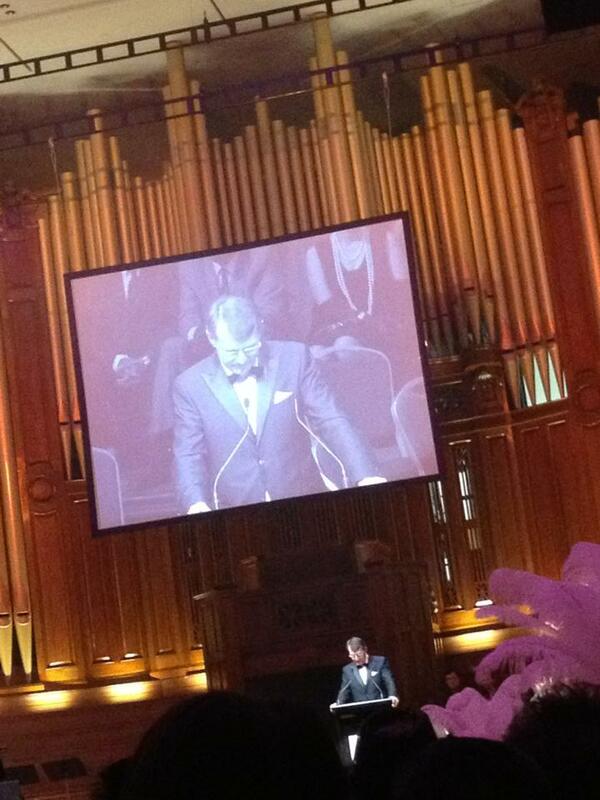 Last night was the 2013 Lord Mayor’s Multicultural Business Dinner at the newly restored City Hall. 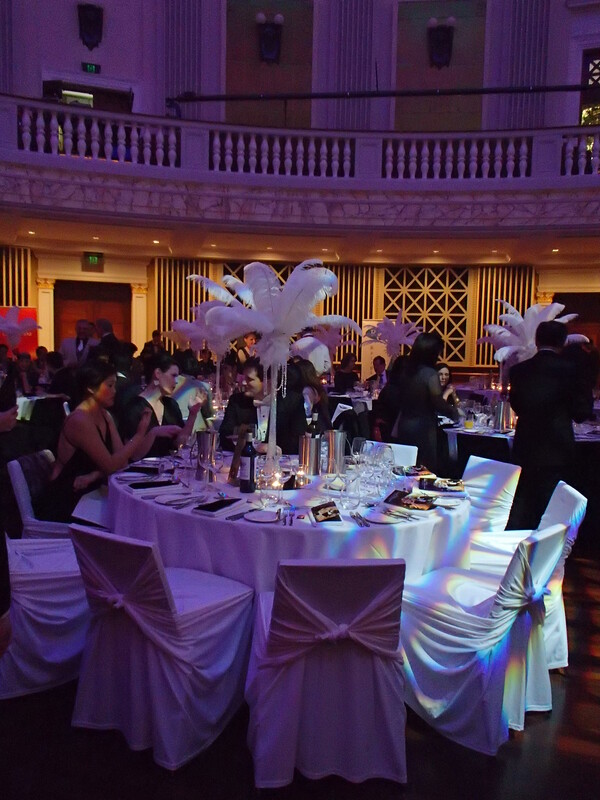 The event raises funds for the Lord Mayor’s Multicultural Business Scholarship Program that has already provided scholarships to 125 students since 2008! 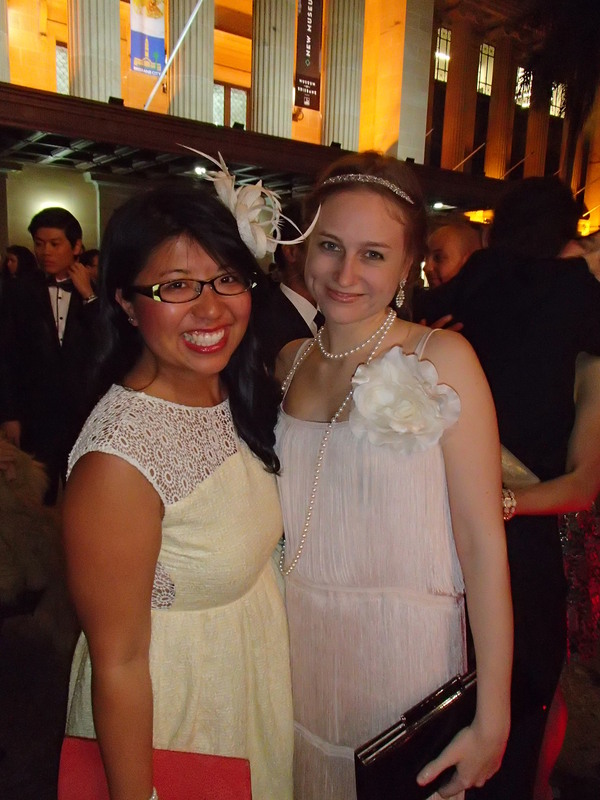 The theme was ‘1920s glamour’ to pay tribute to the era when Brisbane City Hall was first built and just so happened to coincide with the Great Gatsby’s film release. Everyone looked so fancy in their pearls, lace, and feathers. Brisbane Marketing was so gracious and gave the BISAs the opportunity to attend as guests. We were split up on different tables throughout the room. First, we attended cocktail hour and then were welcome into the large ballroom for the main event. The main room was ravishing! The table centerpieces were tall vases with feathers and pearls coming from the top. The silent auction items lined the back wall and the stage was set for the fashion parade and dance performance. I needed a few minutes to take in everything because it was so well done. The planners did a fantastic job and really knew how to ‘WOW’ their guests when they walked through the doors. Gorgeous centerpieces for the tables! I was seated with my fellow BISA from Zimbabwe, Nyarai. As we sat down to our seats, we met everyone at our table who were from China and Russia. We had a wonderful time getting to know one another and shared many jokes resulting in endless laughter. We had a three course meal and I really enjoyed what I was served. 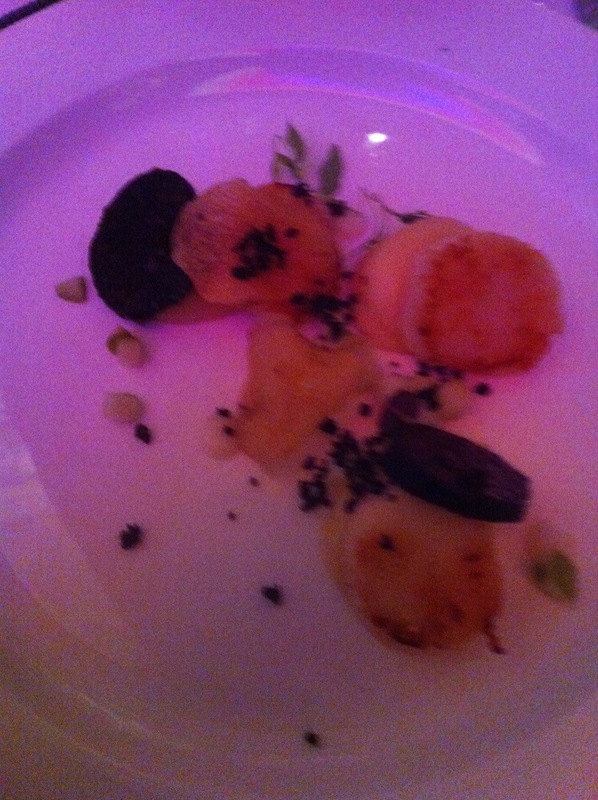 For my entrée, I had the seared Queensland scallops, morcilla sausage, green apple and frisee salad. Then for my main, I had the grass-fed beef fillet with potato fondant, autumn roast vegetables and black pepper jus. To top it off, I enjoyed the twice-cooked lemon brûlée, dukkah sable and burnt caramel for dessert. The scallops were my favorite part of my meal. The Lord Mayor welcomed us to the event and announced the winners of the 2013 Lord Mayor’s Multicultural Entrepreneur Awards. This was such a highlight to me because it promoted innovation, strength, and will throughout Brisbane and also recognized the multicultural presence in Brisbane. The recipients were so humble when accepting the award. It was very inspirational to listen to how they began their business and how they had grown and overcome challenges to meet their goals. A journey begins with one step. Sometimes I think the most difficult part is to take that first step. The ideas have been formulated but what is it that we need to push ourselves that extra inch? Listening to these individuals achieve beyond their dreams was encouraging and a statement that others like the Lord Mayor’s Multicultural Round Table, want to support Brisbane citizens, see them succeed and give them the chance to be recognized. A truly delightful and inspiring event that reminds us that we too are capable of achieving anything we set our minds to achieve.